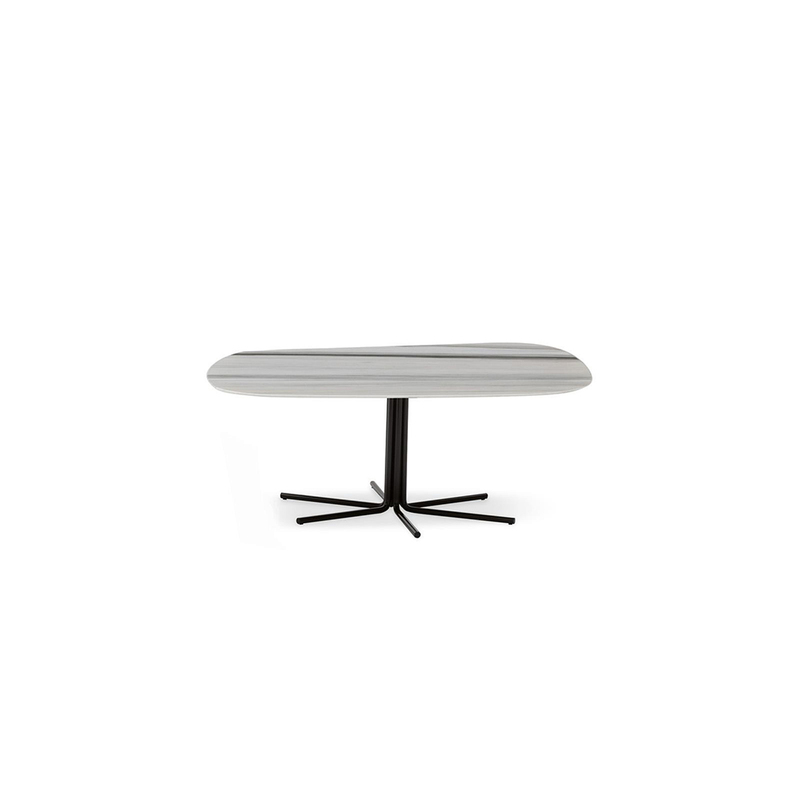 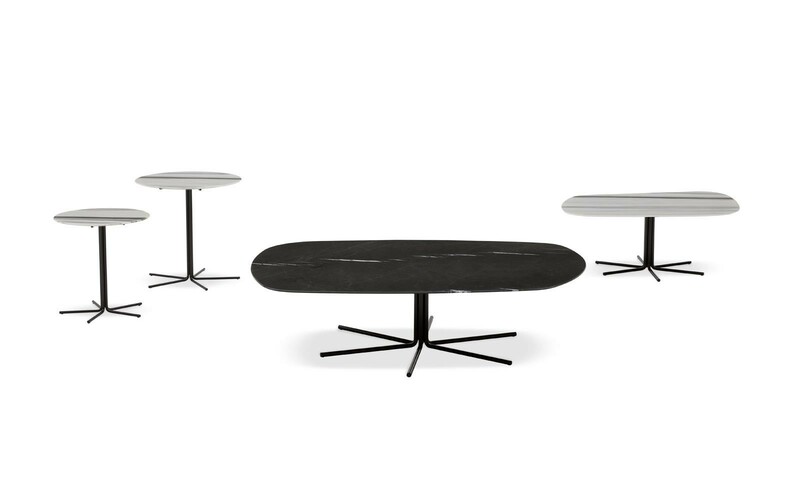 Defined by their thin thickness and their ethereal structure, the Rays tables are completed by the top available in an irregular or rounded organic shape. 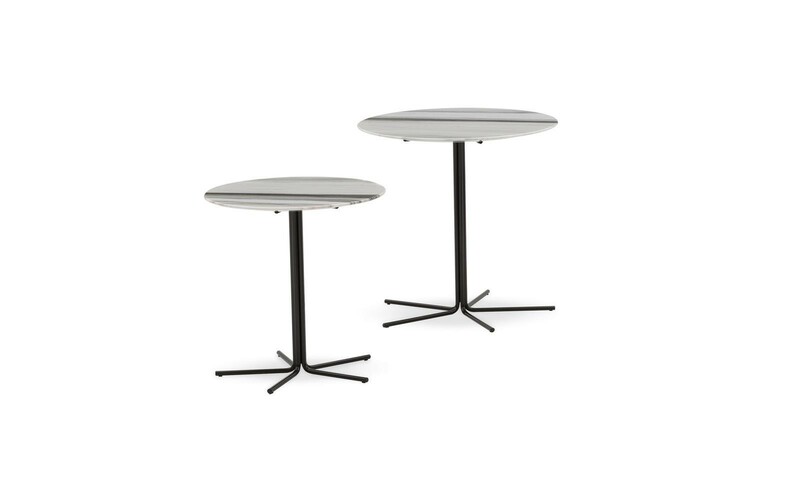 The radiused base, consisting of a bundle of metal rods that fold and rise vertically, supports the top, in marble or wood. 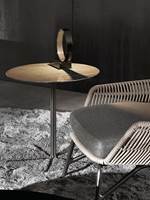 From the Pewter-coloured finishing of the base to the precious shades of the top, available in Zebrino marble, Stone Grey or Moka lacquered brushed oak, the materials highlight the firm identity of Rays. 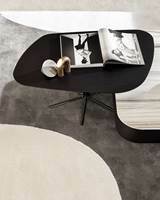 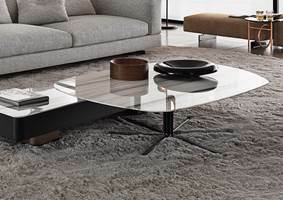 Thanks to its slender structure, and with its different heights and various top widths, the table appears as a thin thread emerging from the floor, sinking into the soft texture of the rugs of the Indoor collection.